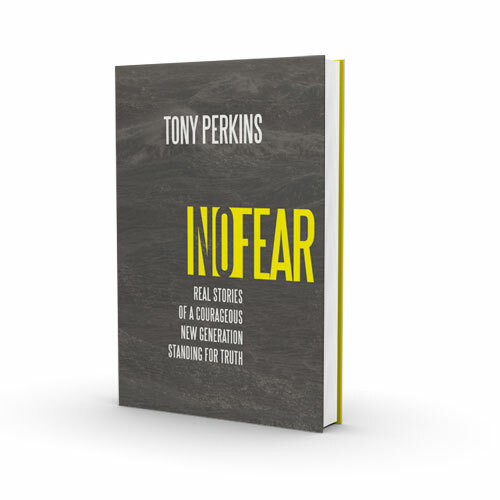 In No Fear Tony Perkins tells the stories of young Christians who took a stand for truth in the face of intense opposition. These unlikely heroes will show you the dramatic influence one person can have in seeking fairness, justice, and compassion in a nation. You'll be drawn back to the heroes of the Bible who stood up for God in their own day and culture, modeling the same brand of courage that is needed today. "The future of the church is in the hands of young people today, and Tony Perkins delivers stories of young men and women standing up for their faith, for their beliefs, and for what the Bible says is right. This is no time for Christians to be silent, and Tony Perkins is using No Fear to help raise up a new generation of world-changers."